• In solidarity with the Families Belong Together rallies, Vu Le tells the story of his family emigrating from Vietnam and the perspective he had as a child coming to the United States for the first time. • Although it’s easy to despair when one reads the headlines about the way this country is treating immigrants, Le’s story offers hope as he recounts the kindness many different communities showed his family when putting down roots. • Want to know what you can do as a donor to address family separation? Click here. When Saigon fell, my father was put into re-education camp. He was released after two years of labor deactivating unexploded mines. I don’t recall us kids ever going hungry in my childhood, because my parents always made sure we had food. My mother would come home from her work, and sometimes she would bring me half a boiled sweet potato as a treat. Those were good days. I did not realize until later though how much my parents and relatives had endured in the war and during its aftermath. My father developed a sense of humor, but as much as he jokes about his experience in reeducation camp, the horrific things he saw — the severe abuse of the prisoners, the disfigurements from deactivating mines, the starvation, his friends being executed or disappeared — has and will affect him for the rest of his life. 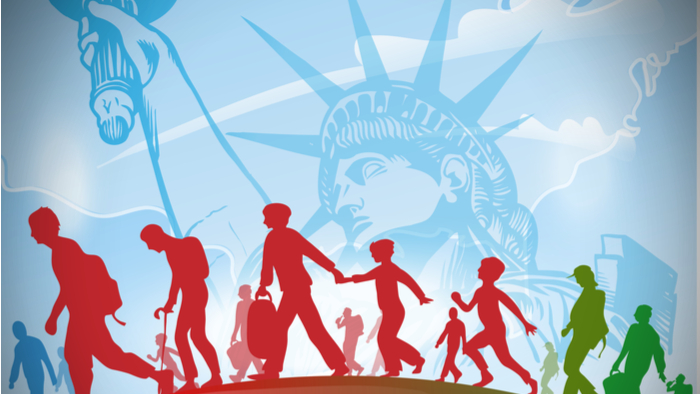 Read the full article about America from the perspective of an immigrant by Vu Le at Nonprofit AF. If you are interested in Immigrant Refugee, please see these relevant events, training, conferences or volunteering opportunities the Giving Compass team recommends. If you are interested in Immigrant Refugee, please see these relevant Issue Funds, Charitable Organizations or Projects where you can get involved.